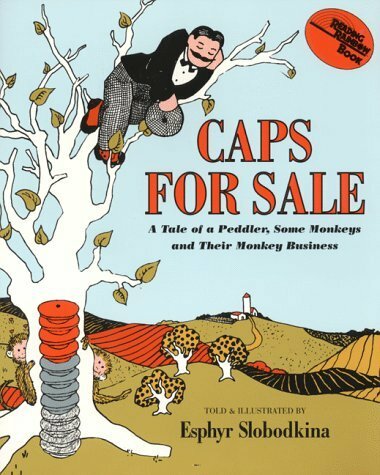 One of my favorite read aloud books is "Caps for Sale". I remember it as a child, my kids loved it and now my grandkids love it too. There is something so memorable and fun about this peddler that can't sell any of the caps that he carries on his head. He decides to take a nap under a tree, but when he awakes, the caps on his head have disappeared -- it seems the monkeys in the tree have taken the caps. The next part of the story is fun to animate, and it certainly entertains both child and adult. 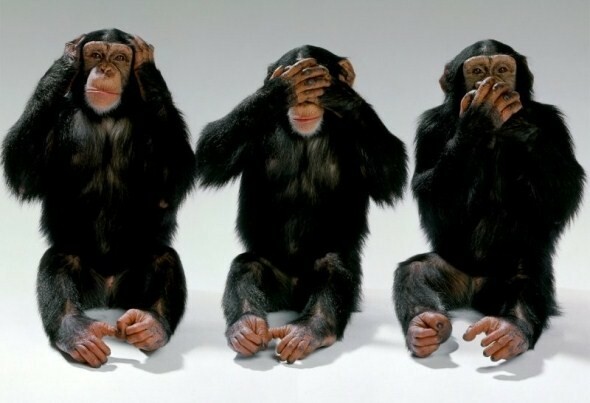 You know that saying, "monkey see, monkey do" -- that's what's going on here in this story. The book is an old folktale, written by Esphyr Slobodkina (the name is pronounced ess-FEER sloh-BOD-kee-nah). She was born in Chelyabinsk, Siberia, on Sept. 22, 1908, and immigrated to the United States on a student visa at the age of 29. She enrolled at the National Academy of Design, NYC, to become an illustrator. In 1937 Slobodkina met Margaret Wise Brown (author of "Goodnight Moon"), and wrote a story for her. This began a new career for Slobodkina, who illustrated many children's stories for Ms. Brown. Her paintings, sculptures and literary works are part of the collections of The Metropolitan Museum, NY; The National Gallery in Washington, D.C; The Smithsonian; The Hecksher Museum, L.I., NY (where she has a permanent wing); The Whitney Museum, NY; The Wadsworth Museum, Hartford, CT; The Northeast Children's Literature Collection, Thomas J. Dodd Research Center, University of Connecticut, Storrs, CT; and more. One of our favorites too. I sure miss reading to my children; no grands yet,(no one is married yet, but I'm not worried) and I've saved all the books to read to them too. I miss homeschooling at times and wonder how the time went so fast. Yea, I am glad I've saved the books. It sure does go fast, I miss the homeschooling of the little kids! I love it because I get to learn too, like when you get called to teach gospel doctrine.